How do I...? Click on the links below! 3. 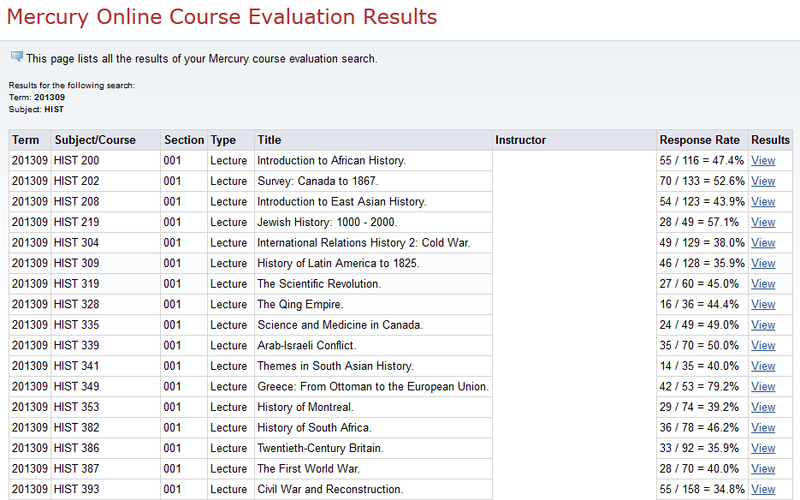 Scroll down and select Mercury Online Course Evaluation Menu. 4. 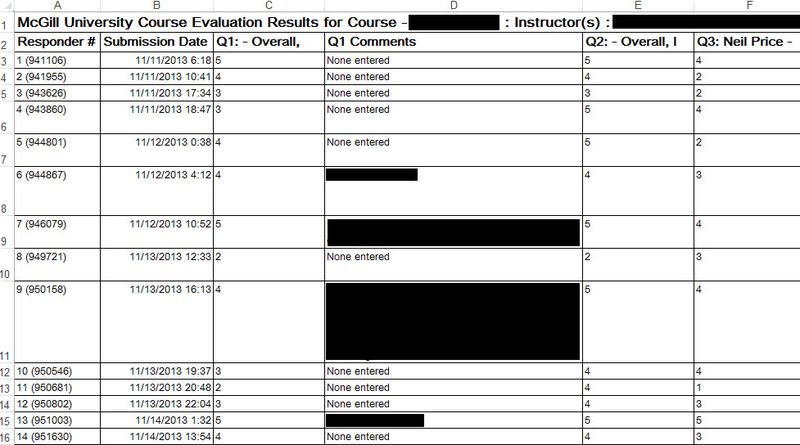 Select Results - for the Instructor. 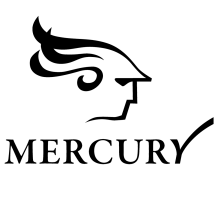 Alternatively, use this direct link to access MERCURY for Instructors. View your course evaluation results. Preview and print your course evaluation questionnaire. View reports for your Teaching Assistants/Tutors. Insert comments on your course evaluation. 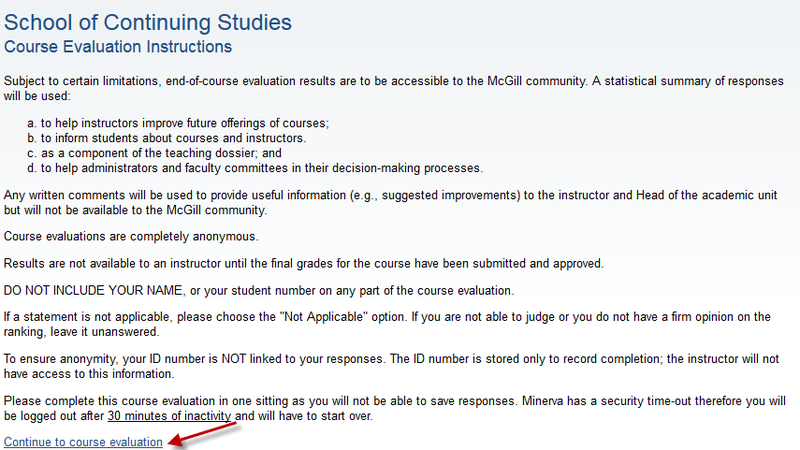 Grant or deny permission to disseminate your numerical course evaluation results to the McGill community. Log into MERCURY for Instructors. Choose an academic year and click Refresh. 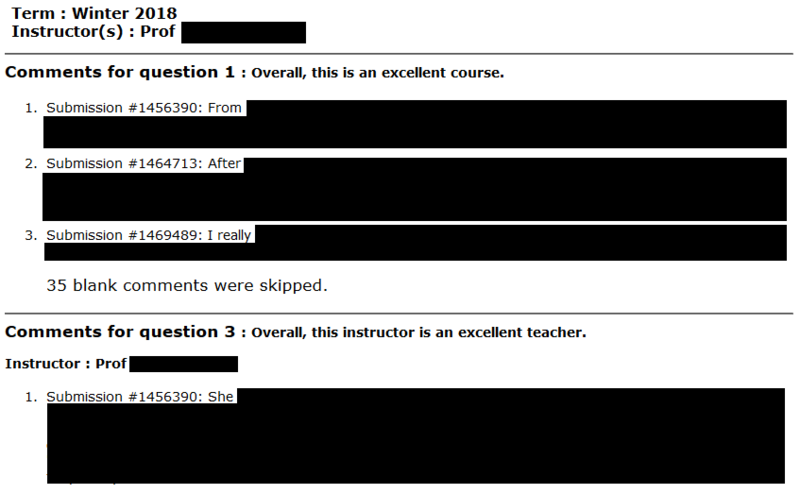 This appears just below Course Evaluation History for: [Your Name]. Click on a course link, such as ABCD 300 : 1343 Course evaluation. Click on the Select format... drop-down menu next to Response Data and select one of the five options, which are detailed below. This format includes the results of each question in the questionnaire. To the right of the bar graph is the number of students who selected each option. To the left of the bar graph is the correpsonding percentage of students who selected each option. Click the View Comments button to see the comments associated to a specific question. Not all questions contain comment boxes. Click here for the definitions of each of the terms used in the Mercury system. The number of students who did not enter a comment is displayed. The Excel formats (text and numerical) display results as submitted by each responder. Include both multiple choice and comment responses as well as the date and time submitted. Both versions contain the raw means for each question. The text report format (.pdf) shows frequency of responses for each of the multiple choice questions. Both departmental mean calculations are included if they have been calculated. Departmental means are usually available a few weeks after the end of the default evaluation period. For best printing results, print using legal size paper and select “Landscape mode." 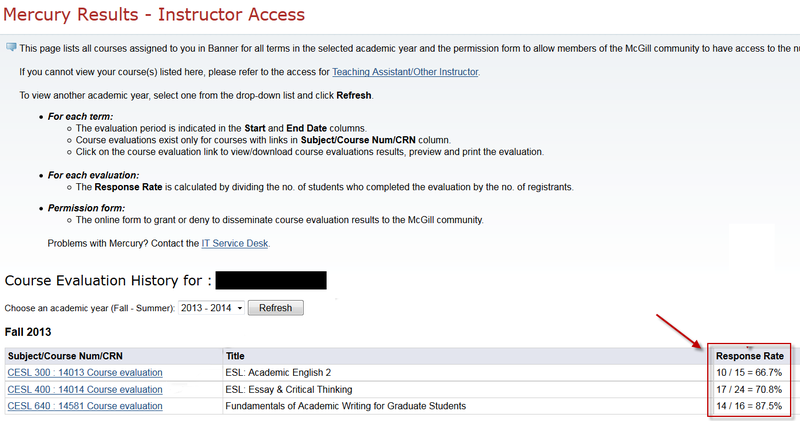 Preview Evaluation: allows you to view the course evaluation exactly as it appears to students. 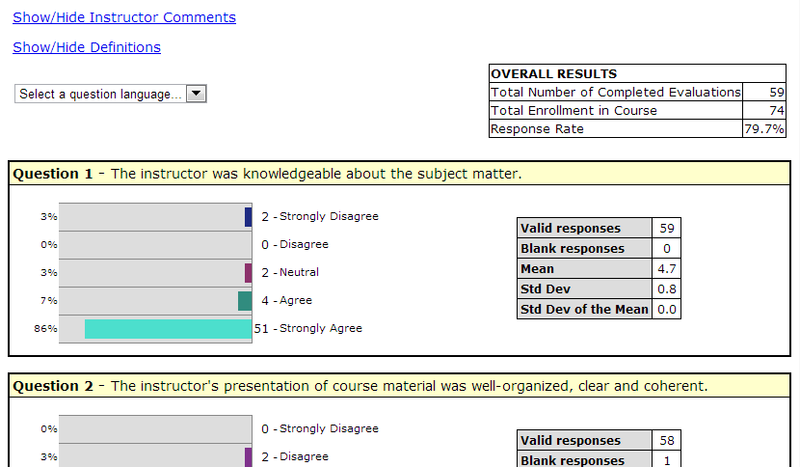 Click on the Preview Evaluation button to view the course evaluation exactly as it appears to students. The Instructions that students see will appear first. 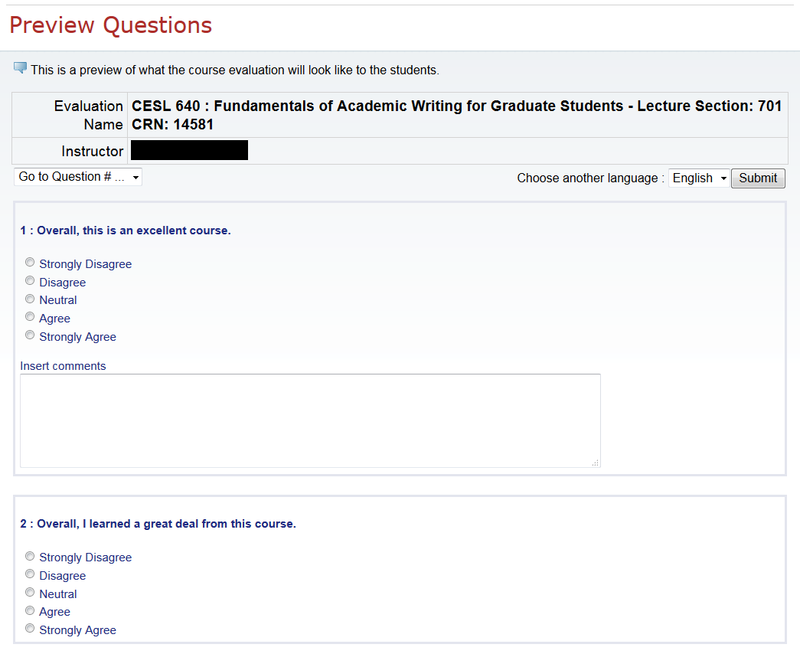 Then, click on Continue to course evaluation to see the questions. A maximum of 10 questions appear per page. Click on Go to Question #... to access other pages of the questionnaire. If you are teaching a course in the Faculty of Arts, Faculty of Law, or the School of Continuing Studies, your questionnaire is offered in both English and in French. Select a language in the Choose another language drop-down menu to view the questionnaire in either language. Print Evaluation: allows you to download and/or print a PDF copy of the course evaluation questionnaire. Click on the Print Evaluation button to download and/or print a PDF copy of the course evaluation questionnaire. Open or save the file on your computer. When you open the file, it will appear as follows. Choose the current academic year and click Refresh. This appears just below Course Evaluation History for: [Your Name]. The current response rate appears to the right of the course title. Watch the video below to see an instructor's experience monitoring response rates during the evaluation period and posting an announcement on myCourses. View other strategies to encourage students to complete their course evaluations. 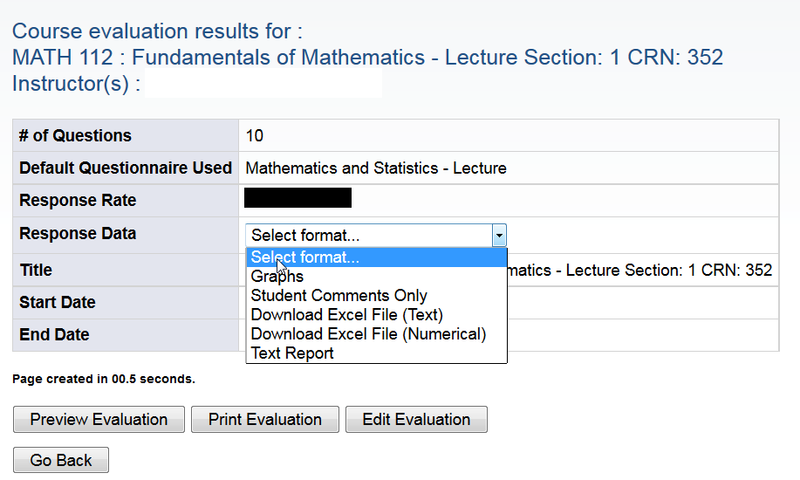 Some questionnaires feature drop-down menu questions that allow students to pick an individual to evaluate for the following set of questions. This is used for Teaching Assistants, Tutors, and in some cases, guest lecturers. Note that Teaching Assistants and Tutors may access their results through their own access. More information on TA/Tutor access. If there are multiple individuals in the drop-down menu, the data is aggregated for all individuals by default. Follow the steps below to access the reports by individual. Scroll down to a question that asks students to select a Teaching Assistant or Tutor. In the example below, Question 13 allows students to pick one of two Teaching Assistants to evaluate. Question 14 contains aggregated data for the two Teaching Assistants. Click on the Sort Results button to view individual reports. The questions associated to the Teaching Assistants or Tutor will be pre-selected for you. Click the Submit button at the bottom of the page. Select one of the Teaching Assistants or Tutors from the drop-down menu to view the sorted results. The results for the selected individual will automatically appear below. 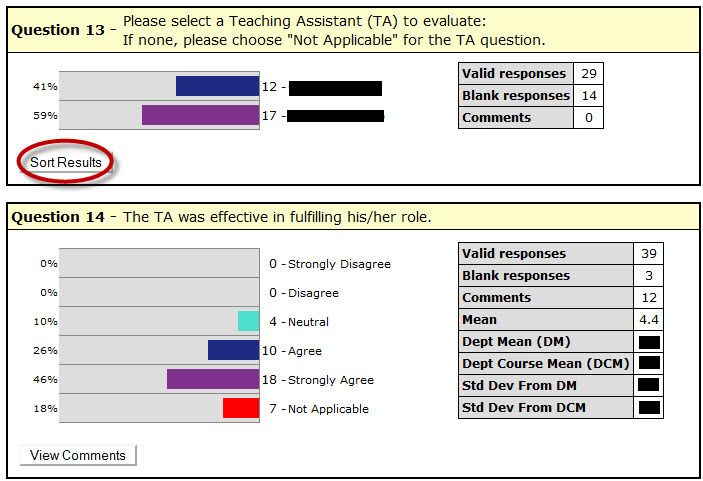 To view the results for another Teaching Assistant/Tutor: select the option from the drop-down menu above. To view comments (if any): click on the View Comments button. To return to the overall results: click on the Go Back to Complete Results button. 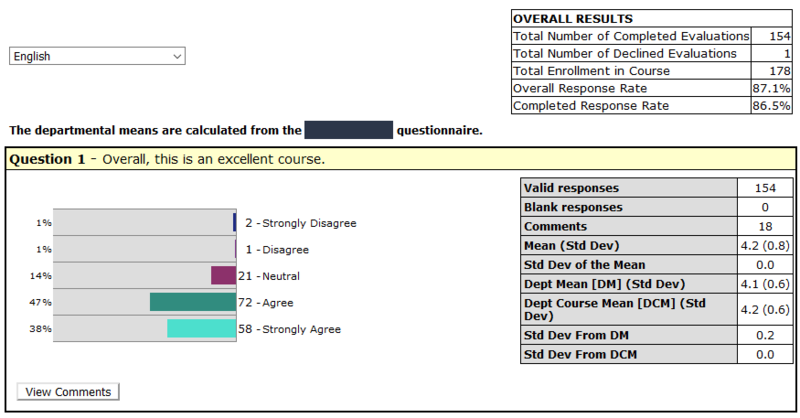 You have the option of leaving comments on your course evaluation results. These will be available to your academic unit head (Chair, Director, and/or Dean) as well as to the McGill Community if your numerical course evaluation results have been disseminated. Inserting comments allows you to provide contextual or other information on the results, such as if you tried out a new teaching strategy. Go back to leave the comments section without posting anything. 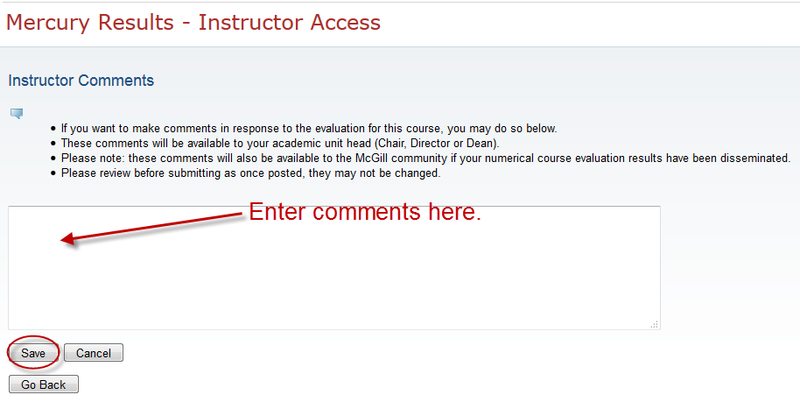 After you save your comments, you can view them later by clicking on View your comments from the course evaluation results page. an adequate response rate has been received. Written comments are always treated as confidential and are never disseminated. 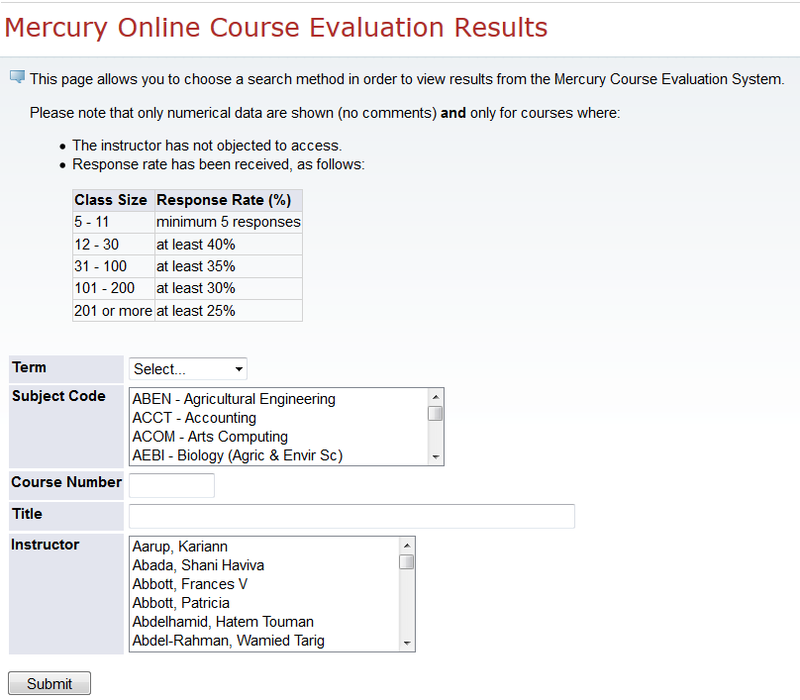 Scroll down and select Mercury Online Course Evaluation Menu. Select Results - for the Community. Select your search criteria either by subject code (department), instructor, or course; then click Submit. To view multiple subject codes (departments) or instructors, use the CTRL or Command(⌘) key when making your selections. You may also wish to look at specific terms; however, at least one instructor or subject code must be chosen first. The following lists the results based on your search. Click View to view a course's numerical results. NOTE: Because this site is public, the instructors' names have been erased from the screenshow below. 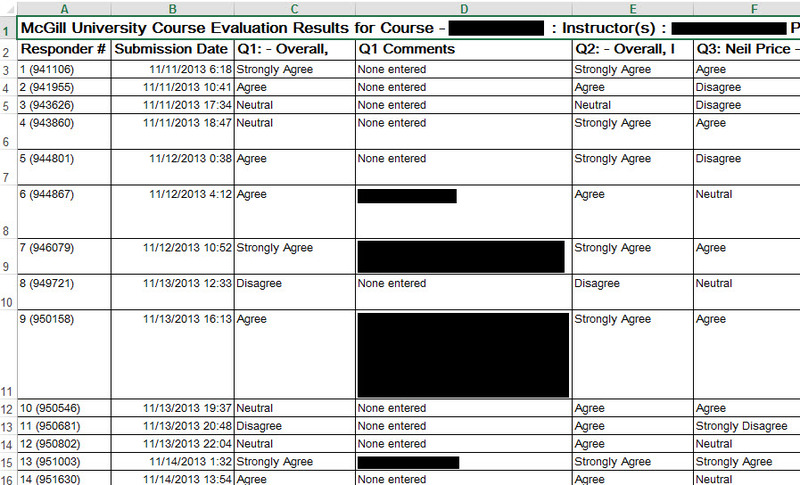 This is what a sample course evaluation results page looks like. Click here for more information on the definitions used. To perform another search, click the Go back button on the search results page in Step 6. For additional assistance, contact the mercury.info [at] mcgill.ca (Mercury System Administrator).